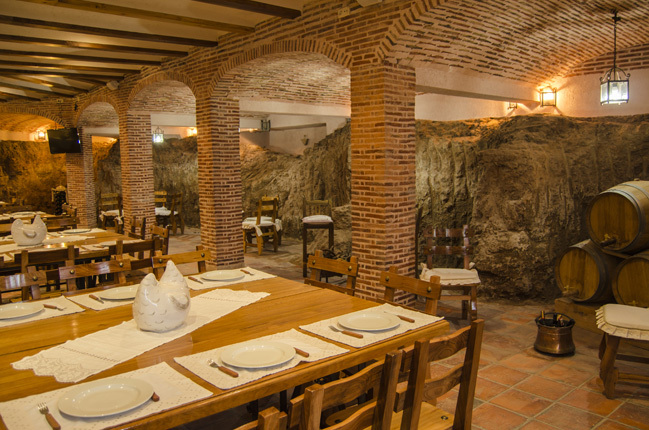 The wine cellar was dug in a rock and has neither heating nor air conditioning. 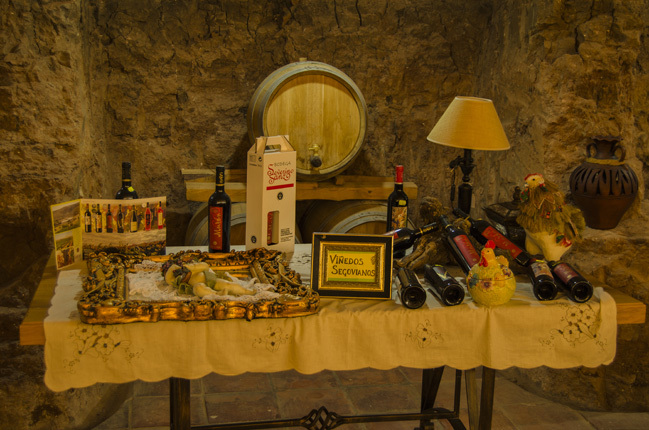 Here you can find a selection of the best Spanish wines. 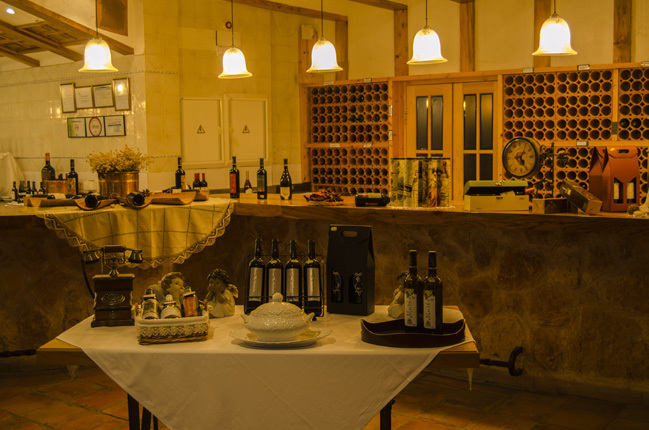 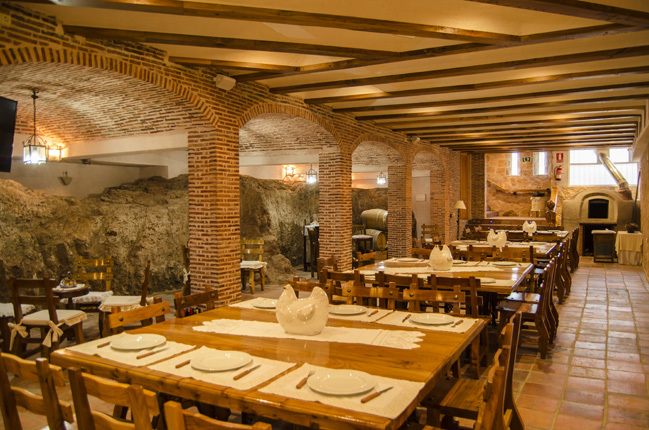 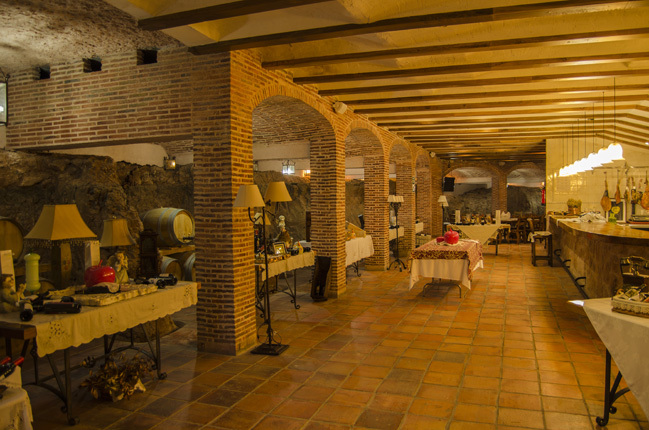 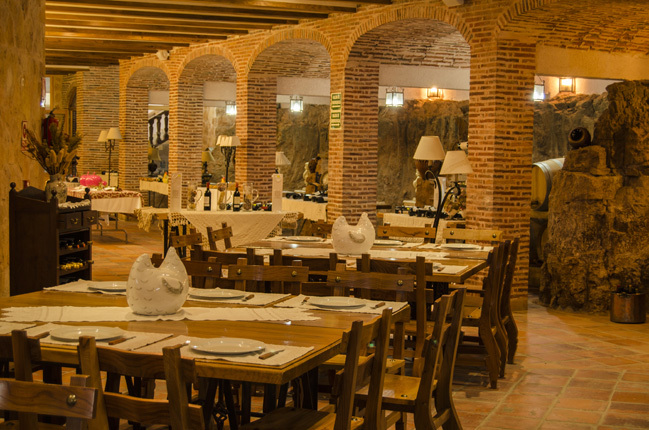 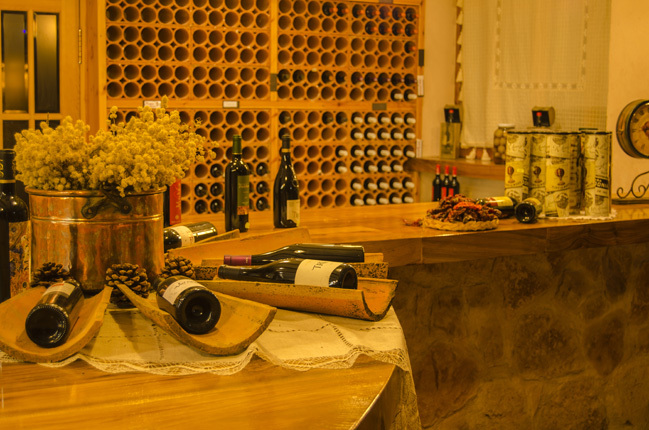 Inside there is a wood-fired oven as well as caves and arches that house large rooms where to hold events or just have an appetizer while tasting our wines.